The final new model and concept reveals for the 2012 Paris motor show include some interesting off-roaders and the skeleton of Ferrari's ultimate supercar. 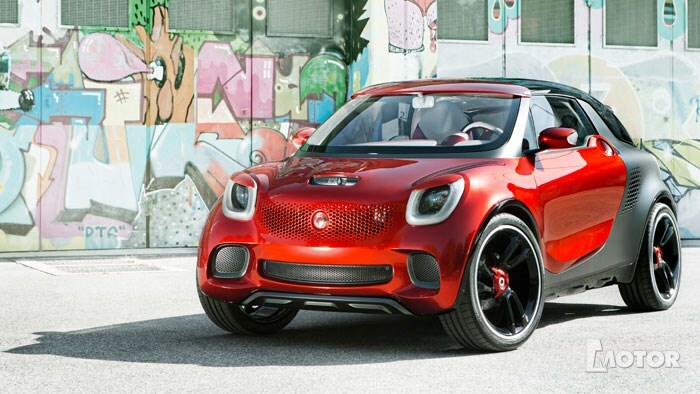 Smart's ForStars is a cool urban city car concept, Suzuki's S-Cross concept is a big brother for the brand's SX4 soft-roader, Nissan's TeRRA is a fuel cell electric off-roader, and Ssangyong's EV concept e-XIV is its latest zero emissions concept. Volvo's V40 Cross Country extends its XC line-up, Maserati has confirmed its Kubang concept SUV (pictured) will be called Levante when it hits production, and that it will be building a mid-size sedan, resurrecting the Ghibli name.